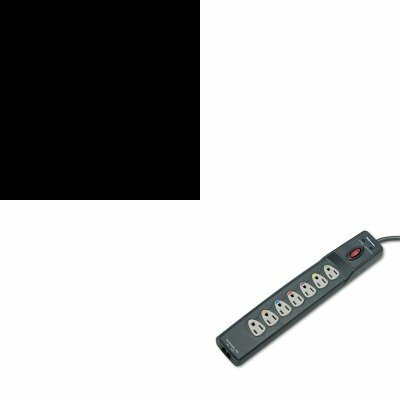 lt;stronggt;FEL99110lt;/stronggt;lt;BR/gt;Fellowes Power Guard Surge Protector w/Phone/DSL Protectlt;BR/gt;Color-coded faces allow quick, easy outlet management and setup. EMI/RFI noise reduction from 40 to 45 dB. Number of Outlets: 7 Joules Of Surge Protection: 1600 J Lines: 2.lt;BR/gt;lt;BR/gt;lt;stronggt;FEL98904lt;/stronggt;lt;BR/gt;Fellowes Power Guard Surge Protector w/Phone/DSL Protectlt;BR/gt;Precision mouse features superior optical technology for unsurpassed accuracy and control. Gel palm pad cushion provides extra comfort during extended use. Long battery life ensures hassle-free cordless mousing. Five programmable buttons and Fellowes Easy Point software for maximum customization. Connector/Port/Interface: USB Left/Right Hand Use: Left/Right Mouse Technology: Optical.